Weird: of strange or extraordinary character. Now that’s a broad definition if there’s ever been one. 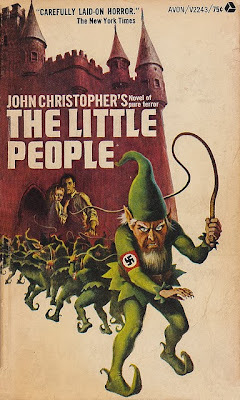 And it’s one that makes choosing some of the weirdest paperback covers out there no mean task. In searching for the weirdest covers I had to broaden my definition of what can be considered weird and for which reasons. Here’s a small sampling of vintage paperback covers that fall into at least one of those categories. Enjoy! Follow this link to see some REALLY special covers!